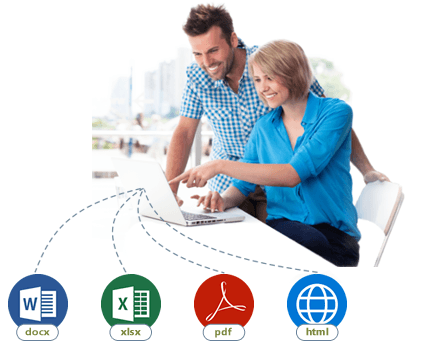 Automatically generate documentation and reports in no time. 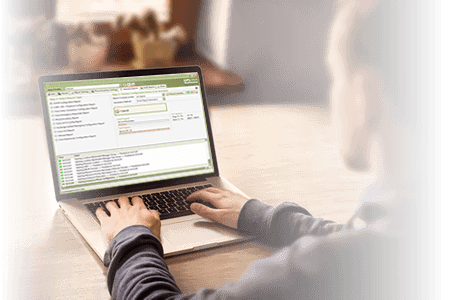 Automatically generate documentation and reports in no time. Comprehensive documentation for projects, audits and migration. 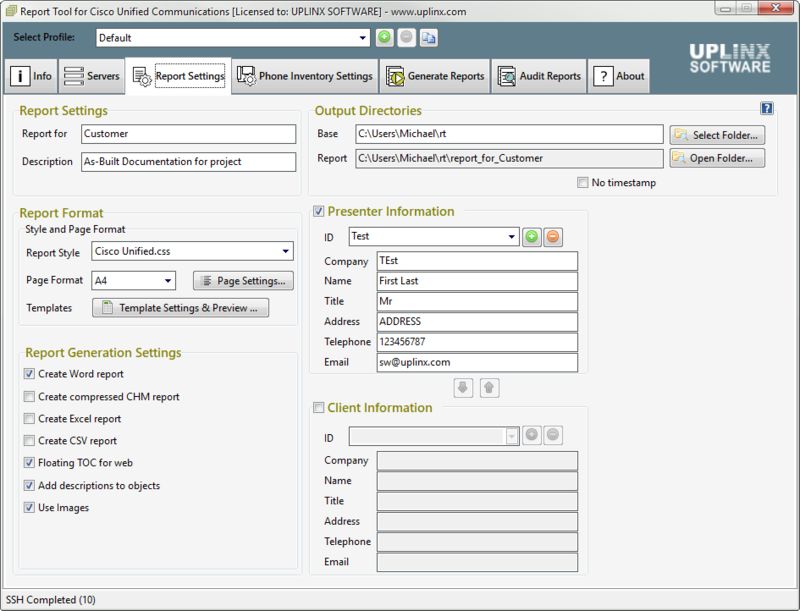 The Uplinx Report Tool for Cisco Unified Communications saves you time by automatically producing customized professional reports in HTML, Excel, CSV, Windows Help and WORD format in minutes - a task that otherwise takes many hours. Reports can be scripted and generated nightly. 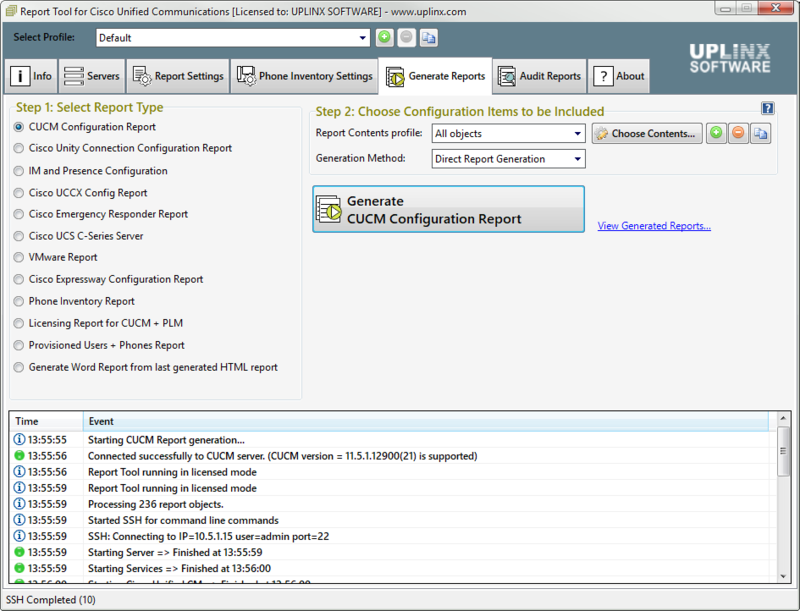 Cisco Unified Communications Manager - CUCM Configuration report with all 270 items. Cisco Unified Presence Server CUPS - IM and Presence Service IMP Configuration report with all 71 items. Cisco Unity Connection - CUC Configuration report with all 113 items. 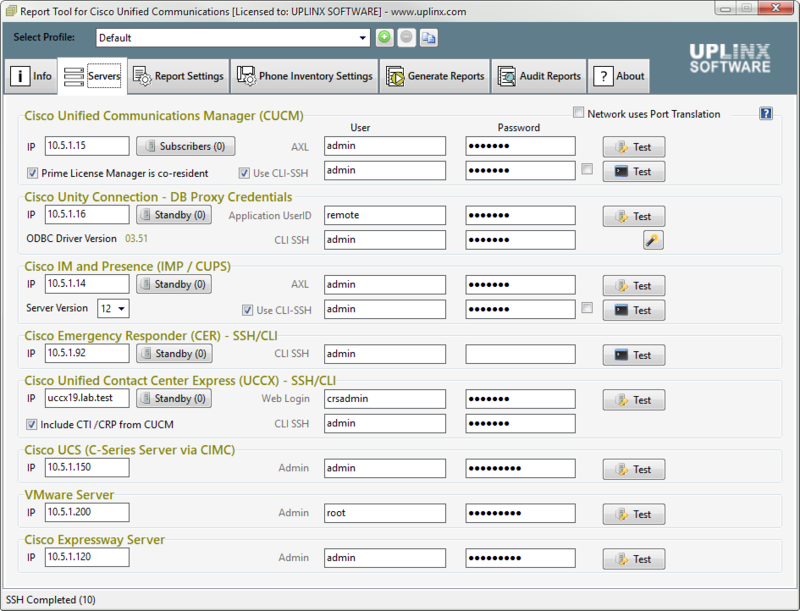 Cisco Unified Contact Center Express - UCCX Cisco UCCX configuration reports with all scripts of UCCX Script Editor. Cisco Emergency Responder - CER Configuration report with all 36 items. Cisco Unified Computing System - UCS Configuration reports for Cisco UCS Manager UCS servers. VMware Configuration report for VMware server and Virtual Machines. Provisioned Users Reports per end-user on phones, voicemail and extension settings. Cisco Phones Inventory Phone Inventory - Asset: serial, model, MAC, certificates, registration status and switch location per Cisco phone. Cisco Meeting Server (CMS). Configuration report. Audit (Comparison) reports. Find, monitor or audit any configuration changes to Cisco CUCM, CUC. 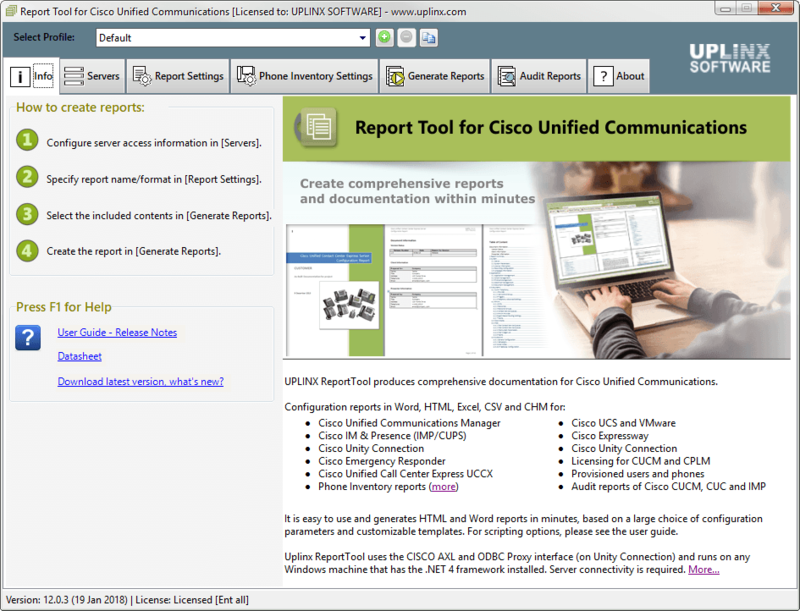 Uplinx Report Tool for Cisco Unified Communications saves you time by automatically producing customized professional reports in HTML, Excel, CSV, Windows Help and WORD format in minutes - a task that otherwise takes many hours. Reports can be scripted and generated nightly. Pricing from $490 at our Online Shop. 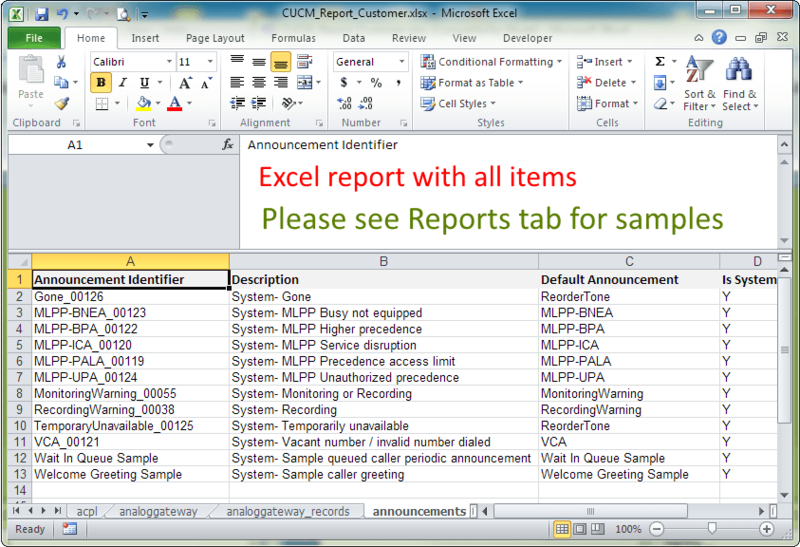 Reports are automatically generated within minutes. Predefined report templates generate high quality, professional reports. All templates are customizable to your corporate standard documentation. The Word report can serve as the base for a comprehensive audit or as-built report for your projects and delivers professional looking as-built project reports. Create great looking as-built documentation in HTML or Microsoft Word format within minutes. Reports can be based on your own templates including your own color schema, fonts and logos. 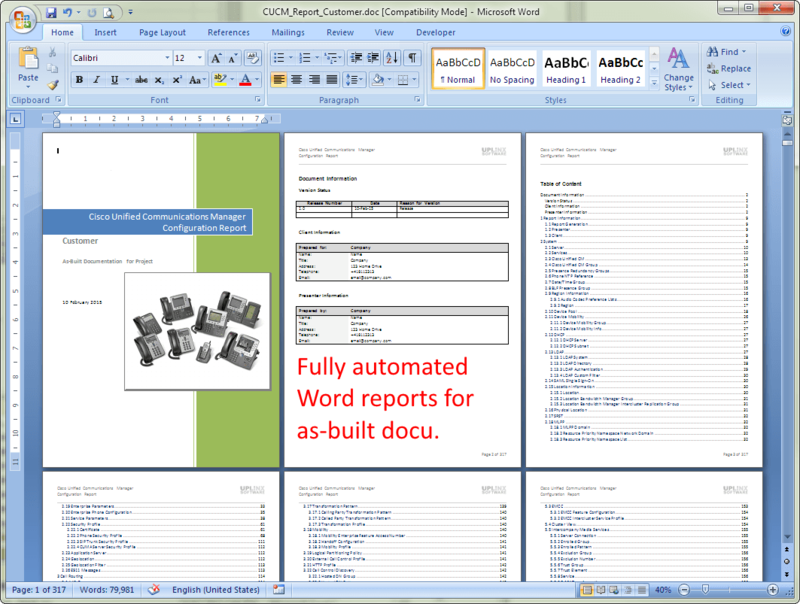 Include additional information into the generated word reports or directly convert to PDF to provide professional looking project documentation. What, When and Who has applied changes to your Cisco UC configuration? Effortlessly compare configurations and view any change. Build a cost-effective configuration management system for Cisco UC. Create automated configuration backup reports. 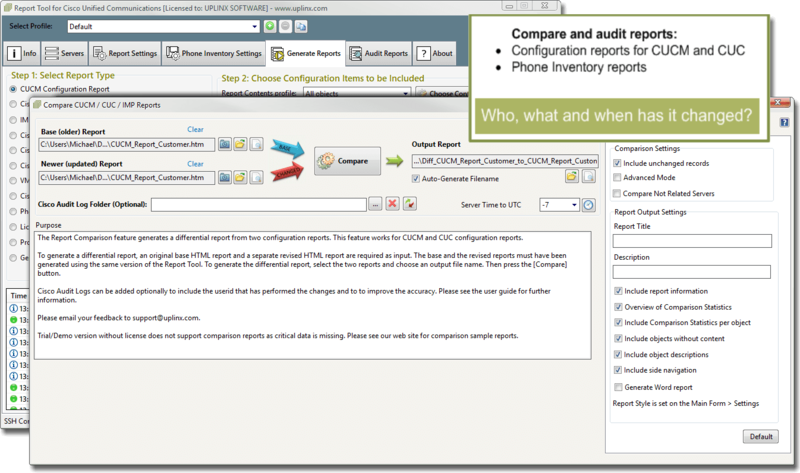 Phone Inventory Audit reports contain added or deleted phones, changes to phone configuration and registration status. Report Tool for Cisco Unified Communications is a desktop application that generates reports for Cisco Unified Communications servers within minutes. 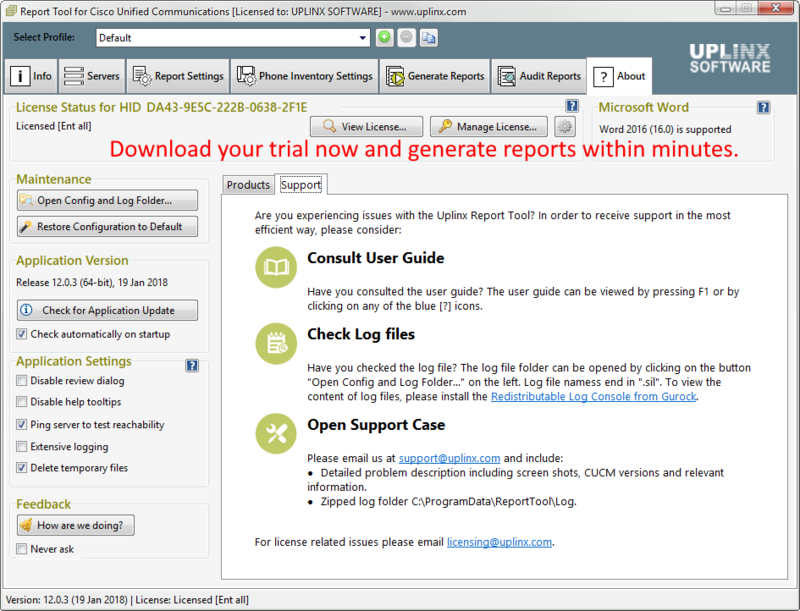 I have loved Uplinx Report Tool and have used it since CUCM version 6. It's the best tool out there. It's fantastic and I recommend it to every VAR engineer I meet. I've even convinced my company to use it as a help desk tool. As an engineer, you need a tool that generates all the as-built documentation for Cisco Unified Communications so you can spend precious time on what really matters—your expertise and delivering the project.